The @DavidGeurin Blog: Does Professional Dress Matter For Teachers? This topic has been in my list to blog about for quite a while. It’s not an easy issue and not at the top of the priority list, but it is worth discussing for several reasons. First off, how people dress matters. It creates a first impression and a daily impression. Fair or not, we are judged by how we look, including how we dress. Dress can communicate a sense of importance about what we are doing and can influence the importance others perceive about our work. And since educators are too often looked upon as second-class professionals, isn’t it important to combat that image in every way possible? 1. I want my students to know they are important enough for me to dress up to meet with them. What we are doing is important, and therefore I will dress differently for them than when I go to the store or to the movies. 2. I want my students to understand how to be successful involves making a good impression by how one presents himself or herself. That includes what we say, how we stand, eye contact, and also how we dress. We must dress appropriate to our context. 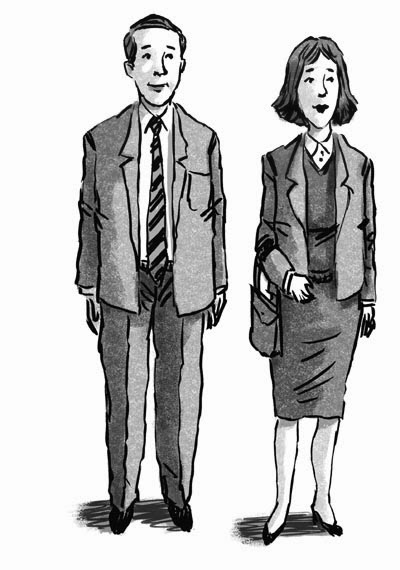 In many workplaces there are specific expectations for dress. Nearly 20 years ago I was required to wear a collared shirt to my job in a grocery store. Shouldn’t teachers far exceed this standard? 3. So why don’t all teachers dress for success? I think some teachers believe that as long as I’m a good teacher (maybe even a great teacher), it doesn’t matter what I wear. Maybe they just value their personal preferences over setting a standard of excellence in this area? Some teachers may not really know how to dress for success? It was never modeled in their home as a child perhaps? Side note: I fear there are many decisions that are made more for personal preference than for what is best for learning. Some of these have far greater consequences than teacher dress. However, we should seek to challenge all areas that are not promoting learning or improved opportunities for students. 4. I’ve observed that some of the teachers who “dress down” as much as they possibly can are also ones to complain about student dress or hold students to extremely strict “non-academic” standards. For example, when we were discussing if students should wear hats or not inside our building, some of the teachers who are most casual in their own attire were most outspoken that students should NOT be allowed to wear hats. 5. It’s not hard to see all of the assaults on the teaching profession in the media. There have been cover articles of major magazines titled, “Why we must fire bad teachers” and “Rotten Apples” that basically blast the profession. I’ve seen the profession referred to as glorified babysitting on Twitter. We have to remember that our actions can either invite criticisms of our profession or combat them. One way we can stand up for teaching is by treating our work in a professional way. We need educators representing our profession positively in every possible way, not just the ones that are natural or convenient for you. So how should schools deal with these issues? Should we require teachers to wear suits and ties and strict business attire? I would say absolutely not. I don’t want teachers to dress professionally because they are mandated to do so. I want them to do it because they believe it will help them and help their students and make the profession more respectable. Besides, I don’t want to have my focus as a leader on a strict dress code that will consume my time to monitor and enforce. We need some basic expectations for dress, but we need adults to choose to exceed the basic expectations. Isn’t that what we want from our students? Don’t just slide by with the least expected. Make every decision to do what is best for students, learning, and the profession. Question: What are your thoughts on professional dress for teachers? Does it matter to you? Leave a comment or share on Facebook and Twitter.